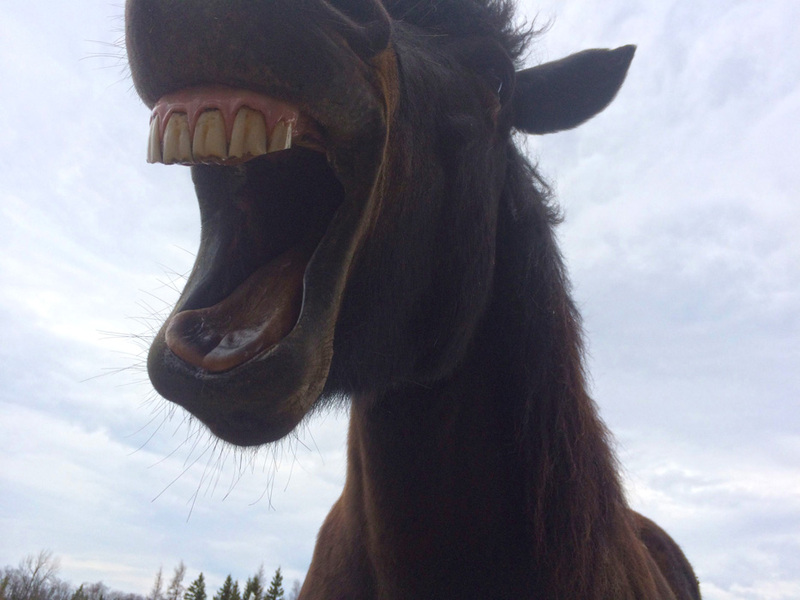 May 25, 2014 – Love this weather – We think it is summer!!! 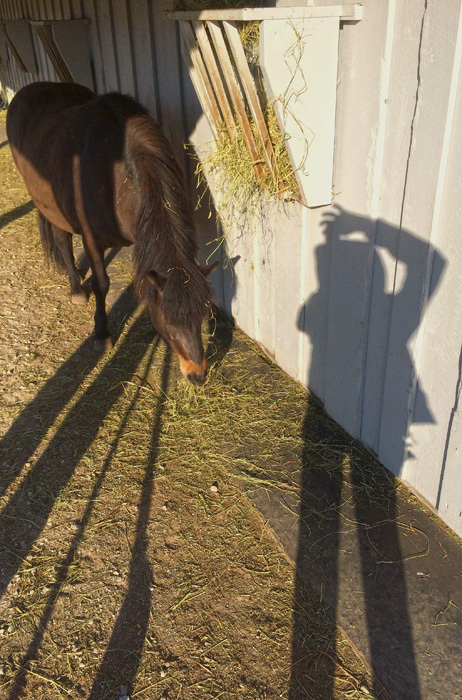 Was 38 this morning but heading for 70 – Great trail riding weather for our Sunday Ride! I really love this shot – so I will show it to you again – just for fun! 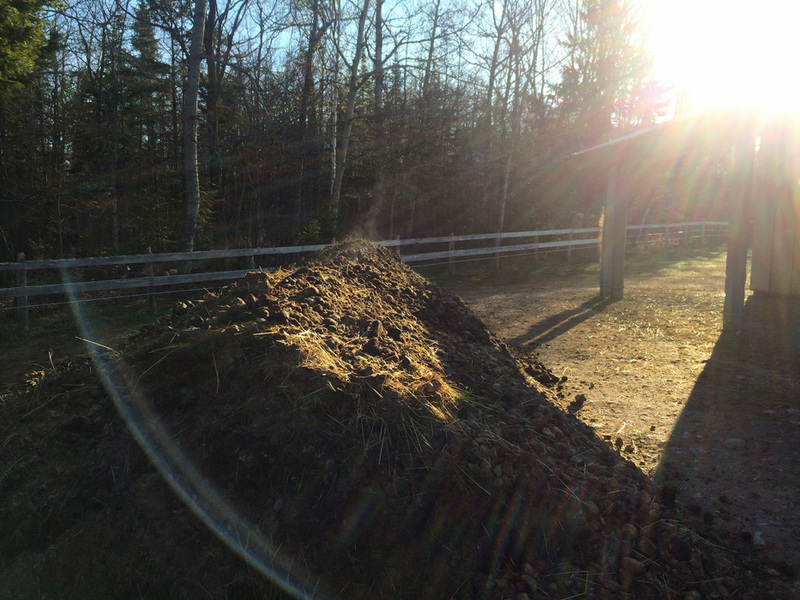 The winter poop pile – steam on the early morning sun – But while removing the pile yesterday there was still large areas for snow and ice in the center of the pile – good insulator – that is why manure is often used, even today yet, as an insulator. 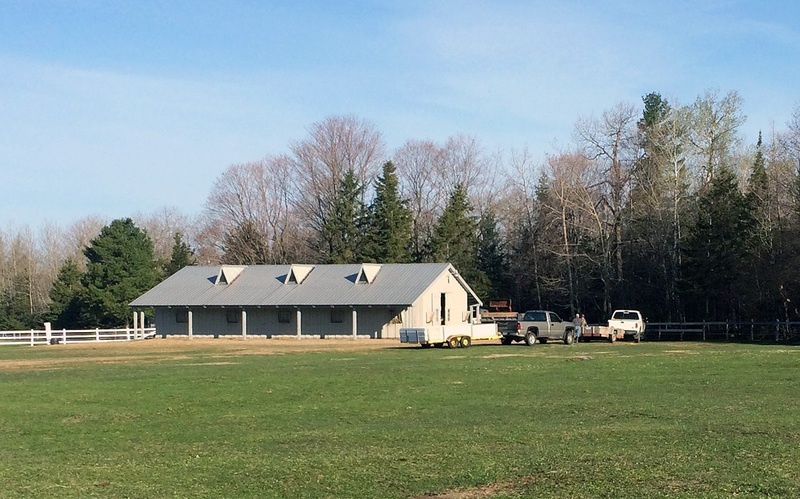 If you are a gardner – it is good to have a friend with horses – see the trucks lined up waiting for their load? 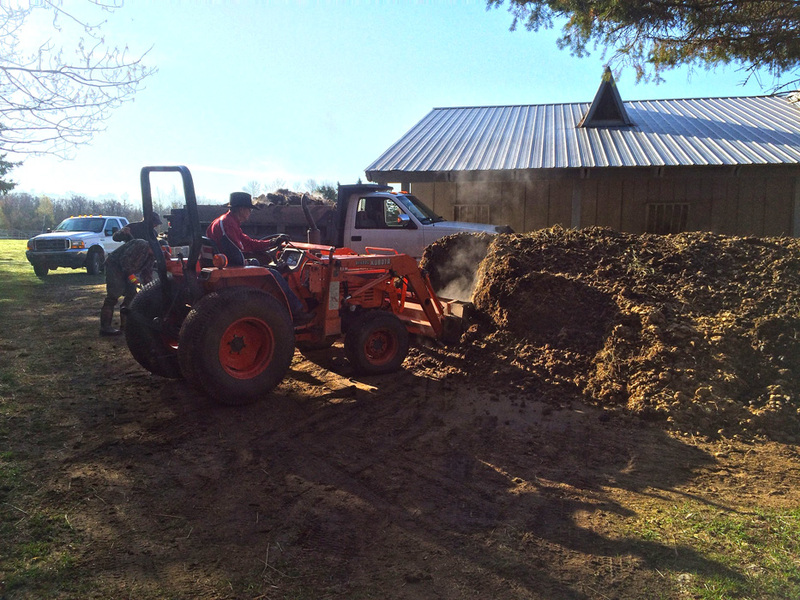 The operator with an arm sling – still operates the front-end loader – see the men keeping the area clean so that when the last tractor load is in the trucks the ground is clean and waiting for the new grass to appear where the winter manure pile was! Biking is what I do in Florida – These photos show what I do on Dummond instead. Even though I been kicked and my friend was thrown this week, I know of more bike accidents then I do horse accidents! So be careful, what ever you do but enjoy it!